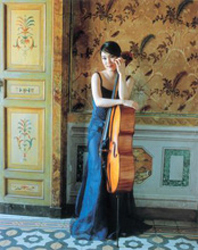 Han-Na Chang is a Korean cellist, considered one of today’s most outstanding young instrumentalists. 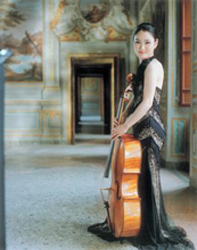 Han-Na began studying piano at age 3, and began her study in cello three years later at age 6. In 1994, at only 11 years old she competed in the Fifth Rostropovich International Cello Competition, winning first against many musicians some being even double her age. 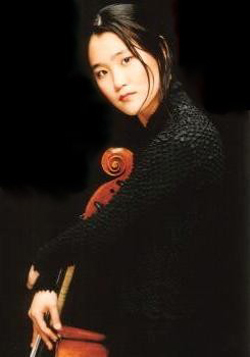 At this competition she was awarded with both the First Prize as well as the Contemporary Music Prize, determined by Maestro Mstislav Rostropovich and ten additional jury members.This distinction opened the doors for Han-Na to study privately under Rostropovich himself. In 1995 she made her debut recording with Rostropovich as Maestro and the London Symphony Orchestra. 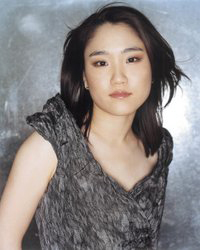 Han-Na also had the opportunity to participate on a full scholarship the in master classes of another famous cellist and Maestro, Mischa Maisky.